being MVP: Transformed into a Snuggly Teddy with Pink Pumpkin Crochet Studio & One for You! Transformed into a Snuggly Teddy with Pink Pumpkin Crochet Studio & One for You! The weather is ever-changing here so Kenzie was able to rock her adorable Teddy Earflap Beanie from Pink Pumpkin Crochet Studio. Although this beanie is perfect for photo ops with a newborn, Nikki was able to make it to Kenzie's head size and it's perfect! The yarn used is super soft without irritating Kenzie's forehead. She wore it to the park and it stayed put while she ran around on the playground. The "ears" are large and stay up - definitely too cute for words. Pink Pumpkin Crochet Studio offers so many items that are perfect for photo ops and for everyday wear. Each can be customized (if you ask nicely of course). The diaper sets and cocoons are beyond adorable a must have for newborns. Teddy Earflap Beanie in Pink or Blue (ARV $30)! I also entered the Talenti Gelato giveaway. I also entered the Bella Viva Orchards giveaway. I also entered the Go Go Babyz Sidekick Diaper Bag giveaway. We'd love the pink Teddy bear hat! Also love the Baby Pink Owl Diaper Set! I would love to win it in pink! It would look ADORABLE on my daughter! I love all of her products! I would want to win the hat in pink! I love all of her creations! I would want to win the hat in pink! I would love to have the blue since it can be for a girl or boy. I don't know what my soon-to-be first grandchild is! 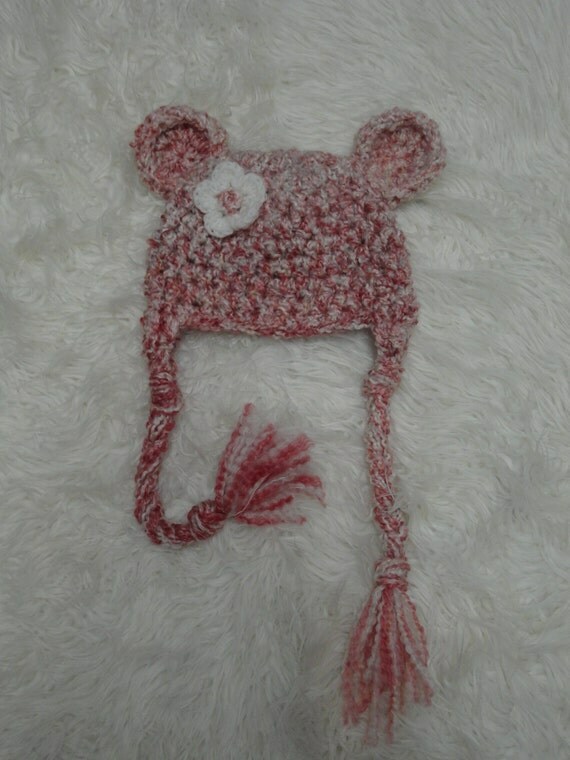 Absolutely adore the Teddy Bear Beanies and the Romey Beanie in Barley Brown & Chunky flower!